Clean your skin from pollutants such as fumes and plaque from cosmetics with fresh foam. Restores, nourishes and soothes all sensitive skin, anti-irritant. Facilitates cell regeneration that allows the skin to rest, withstanding signs of aging. Provides moderate moisture to protect the skin from UV rays. Anti-inflammatory and even skin tone, light skin and reduce melanin. Se tightening pores and oily effect. 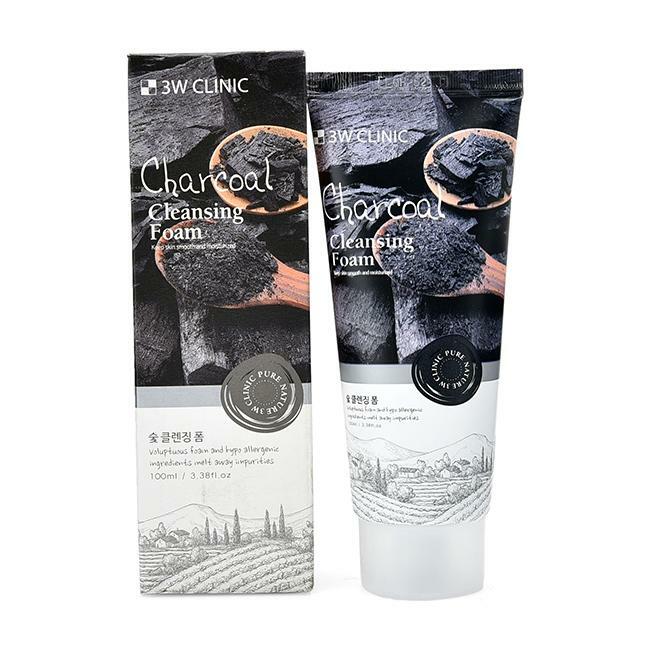 3W Clinic Charcoal Cleansing Foam 100ml is a cleanser extracted from activated charcoal powder to help purify the dirt and toxins on the skin, clean deep sebum with the excess oil, prevent the formation of acne bran, Blackheads after each use to keep skin smooth. 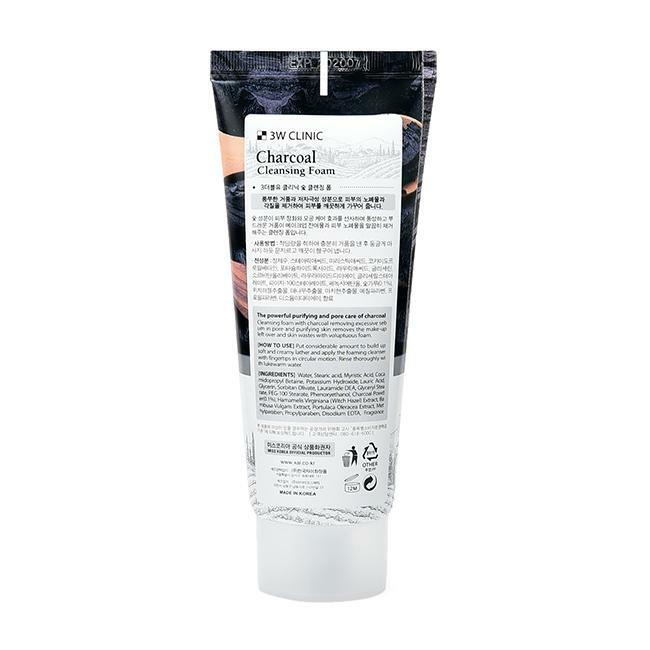 With its excellent mixture of charcoal powder and soft foam formula, 3W Clinic Charcoal Cleansing Foam Cleansing Foam helps to cleanse, soothe, and soothe the skin. merge and oil. 3W Clinic Charcoal Cleansing Foam with pure ingredients Activated Carbon with hollow structural help: disinfection, reducing the sebum, deodorant, eliminate toxins on the skin against ultraviolet rays when the sun. 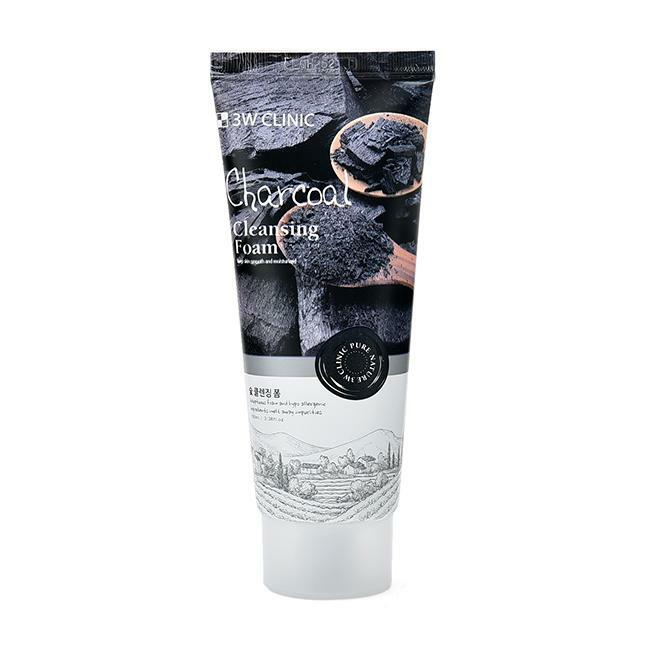 Ingredients Activated carbon combined with soft foam formula to deep cleanse deep sebum with oil to prevent the formation of acne, blackheads after each use makes the skin always smooth, white brighten and tone your skin. 3W CLINIC Active Cleansing Milk Suitable for all skin types, especially effective for oily skin, acne and combination skin. Wet your face, take a small amount of palm, foam, massage gently on the skin, especially the T area, then rinse with warm water. Use twice daily, light and dark to keep the skin clean.